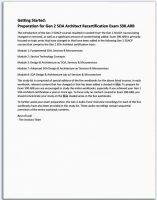 This Study Kit contains the materials necessary for Gen 1 SOA Architects to prepare for the Combined Gen 2 SOA Architect Recertification Exam S90.ARB. Included in this Study Kit are excerpts of workbooks from SOACP Gen 2 Modules 1, 2, 3, 7 and 8 as they pertain to the scope of topics covered on Exam S90.ARB. 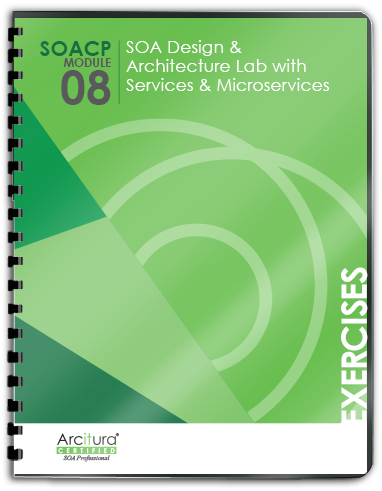 This Study Kit is only recommended as an exam preparation resource for Gen 1 SOA Architects intending to become recertified. Eligible candidates that pass Exam S90.ARB will receive full credit for having passed exams S90.01B, S90.02B, S90.03B, S90.07B and S90.08B on their transcripts. 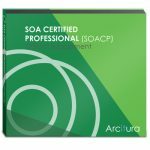 This will enable those candidates to pursue other SOACP certifications without having to retake pre-requisite fundamental exams (such as exams S90.01B, S90.02B and S90.03B). An eLearning version of this Study Kit is also available for a base price of $199 or as an add-on to the printed Study Kit for only $99. 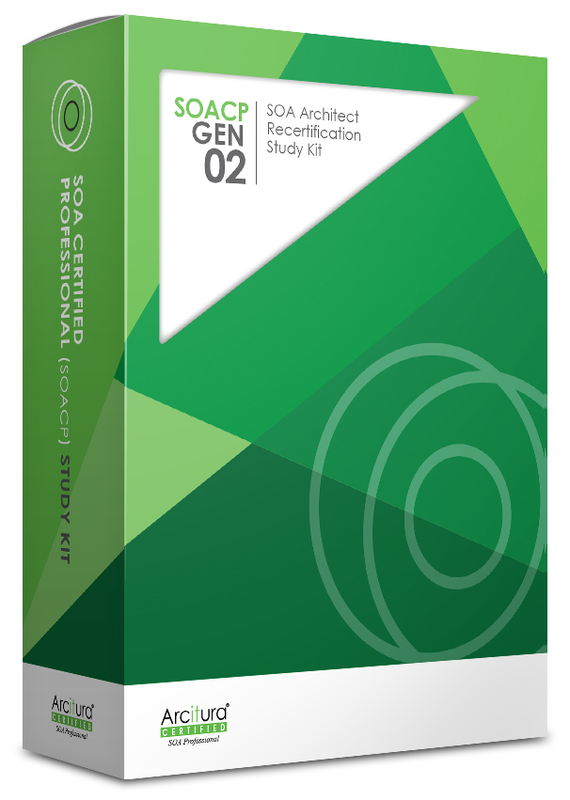 Visit the SOACP Gen 2 SOA Architect Recertification eLearning Study Kit page for details. This Study Kit can be purchased with or without the Pearson VUE Worldwide Voucher for Exam S90.ARB. © Arcitura Education Inc. All rights reserved. Arcitura is a trademark of Arcitura Education Inc.